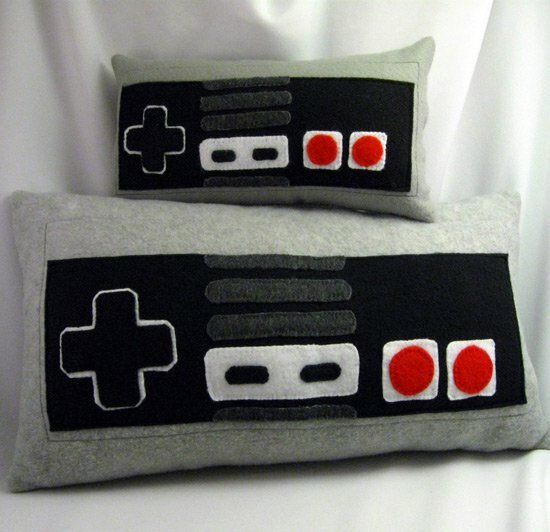 Here’s a fun geeky accessory which is bound to add some geeky style to your apartment, the Nes Controller Pillows. 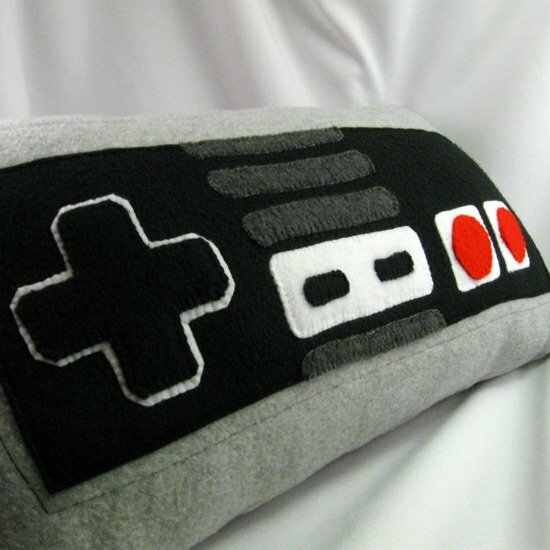 These fun NES controller pillows come in a set of four, two large ones and two small ones, the large ones measure 18 inches x 9 inches and the small ones measure 12 inches x 6 inches. 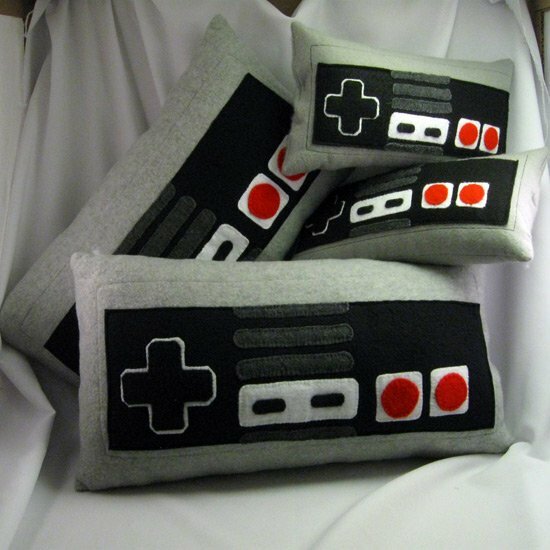 The fun geeky pillows are hand made from ecospun felt, if you want a set they are available for custom order from EstelleDeParis over at Etsy.